Your customers are in love with your content. They read your page up and down, it seems. But for some reason, they just…aren’t… converting. You have a call to action button, but the sales and leads aren’t rolling in. Why not? Let’s look through some of the most common reasons your visitors aren’t clicking your call to action button—and, even more importantly, what you can do about it. Reason #1: They don’t even see your call to action button. You might not believe it. You’ve put thought and effort into your call and action button. You made it bright and shiny. You’ve tried to put it in the right place. How can your potential customers fail to even see your call to action button? Simple: you didn’t give them a reason to notice it right off the bat. Consider that 55% of visitors will spend fewer than 15 seconds on your website according to HubSpot. Does that sound like a lot of time to get readers to check out your call to action button? Of course not! You might as well expect visitors to stick around and read your fine print as well. Chances are, it’s not going to happen. That’s right. Simply making a button obvious…oftentimes isn’t obvious enough. Consider the average Internet user’s experience. They’re browsing pages so quickly that as soon as they scroll through one—barely reading it, unless you’ve captured your attention—that it’s not long before they’re on to the next. How do you fix this situation? There are a few remedies. Make your content compelling. It’s not enough to have a page and talk about yourself. Any old web marketer can do that. You want to grab attention by offering something valuable right off the bat. Minimize the amount of time it takes to see your call to action button. According to Go-Globe, 47% of sites have a button that you can see in the first three seconds. If you want to at least compete with these other sites, you’re going to have to think about your call to action button in terms of its immediate impact. Of course, it’s not enough to get seen. Your call to action needs much more than that. Reason #2: Your button doesn’t show up where people look. In real estate, the adage “location, location, location” always seems to hold up. It’s the same for call to action buttons. As Neil Patel noted in his valuable post about call to action clicks, web content tends to work in an “F-pattern” in terms of the way it interacts with readers’ eyes. The highest point of “heat” is in the upper left corner of your page, all along the top. Typically, that’s the best “location, location, location” for your call to action. Readers’ eyes will tend to skim and scan your page in the same way. You may even be doing it now. The middle section of the “F” may be the headlines that you read through as you skim through the content. But what you get the most out of this post will probably look like an F pattern as well. If you don’t think this has an impact on where your call to action should go, maybe it’s time you reconsider your button placement. Typically, the sales page will place the button at the bottom center of the page. The final call to action at the conclusion of the sales pitch. But effective marketers know that a call to action might be the most important element on the page. Look at your own call to action placement and see if it needs a better spot. This word “heavy” doesn’t refer to its visual weight. That’s great. You want your call to action to be big and to draw the eye. This concept of “cost of clicking” goes back to the average web visitor’s psychology. They have a quick clicking-finger, always ready to click somewhere else if they think it will take too much work to go through your content. If you have too much—too many words, too many promises, too much visually going on—in your call to action, you’re going to overwhelm readers. This is why so many marketers run A/B tests for their call to action buttons. They want to see what gets people clicking. Neil Patel goes for generic, short copy—maybe even a few words—that makes the cost of clicking on the call to action much lighter. These buttons are above the fold, easy to see, and include compelling reasons for you to check them out. If you don’t have any of these elements, perhaps it’s time for a change. Why should someone click your button? It’s the central question that you have to answer if you expect to make any sales or leads online. What’s the urgency? What’s compelling them to click? What problems will they solve by clicking? Once again, most effective marketers can put themselves in the place of their visitors and see things from their perspective. As I write this now, I’m focused on what you can do to improve your call to action. If I was simply droning on and on about what’s worked for me in the past, or what my personal theories were, you’d likely go to sleep. Or, more likely, click somewhere else. To make your call to action more urgent, start using power words. A free course. A secret bonus if you sign up. Rather than improvement, use boost. A boost sounds more immediate. Do you see the pattern? Power words tend to grab your attention and paint a picture. Coupled with effective persuasion and attractive content on the rest of your site, you’ll create a much more compelling picture for why these people should click through to your call to action. Why do people click a call to action? 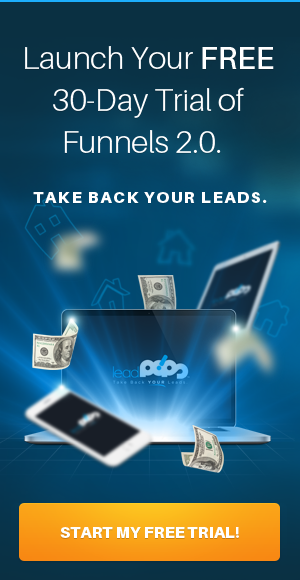 It’s not to throw more leads your way. It’s not to thicken your wallet. People need to be offered something, even if it’s simply the promise of future reward, such as downloading your helpful newsletter. If there’s nothing for them in this business transaction, then there’s no reason for them to click through and become a lead. With leadPops, you can start to create more compelling reasons someone should become a lead. Why someone should click a call to action. 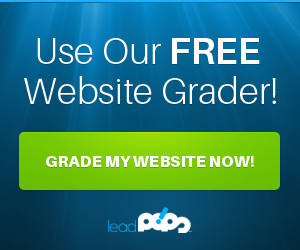 For a free trial, sign up to leadPops today.